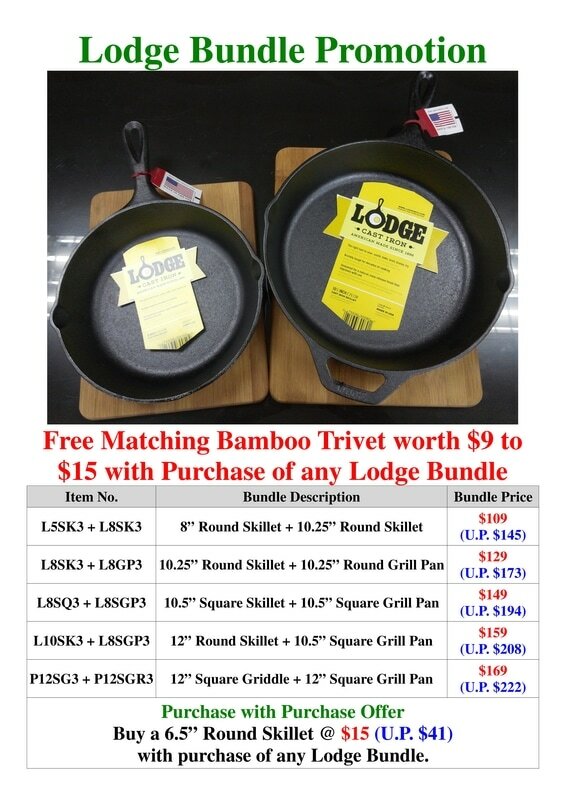 Free Matching Bamboo Trivet worth $9 to $15 with Purchase of any Lodge Bundle. Buy a 6.5" Round Skillet @ $15 (U.P. 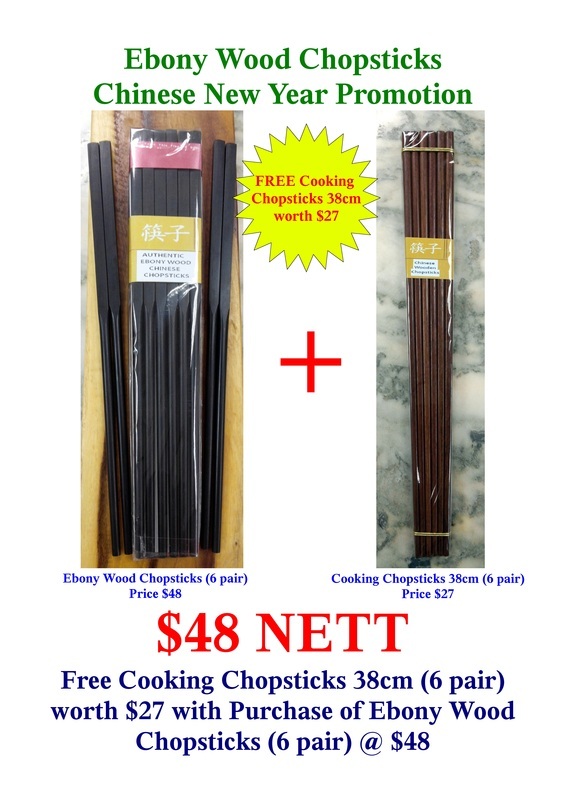 $41) with purchase of any Lodge Bundle. 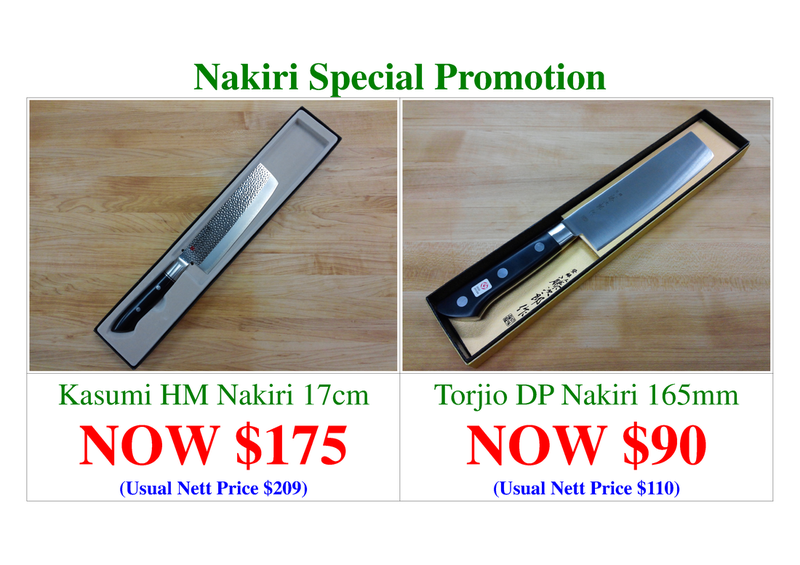 Our hot selling Tojiro Bread Slicer is back in stock, and we kept the same promotion we ran back in June. 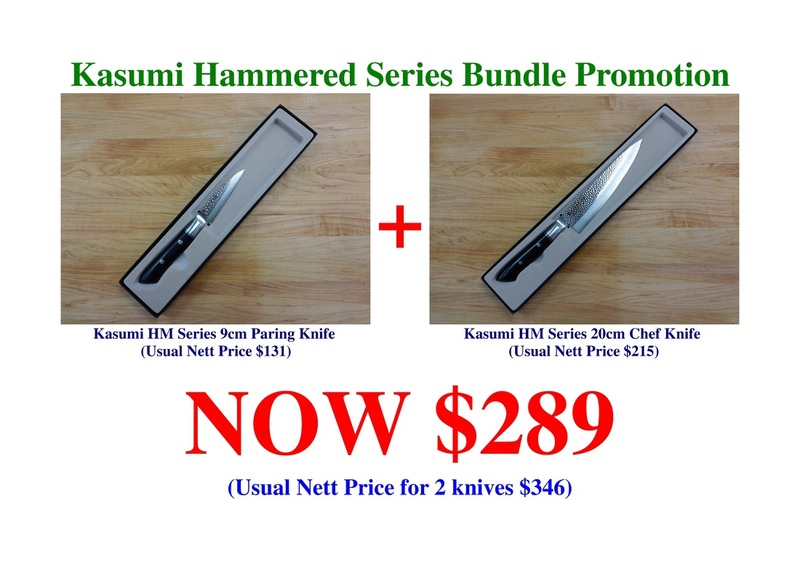 *With purchase of any above Kasumi Promotion Bundle. 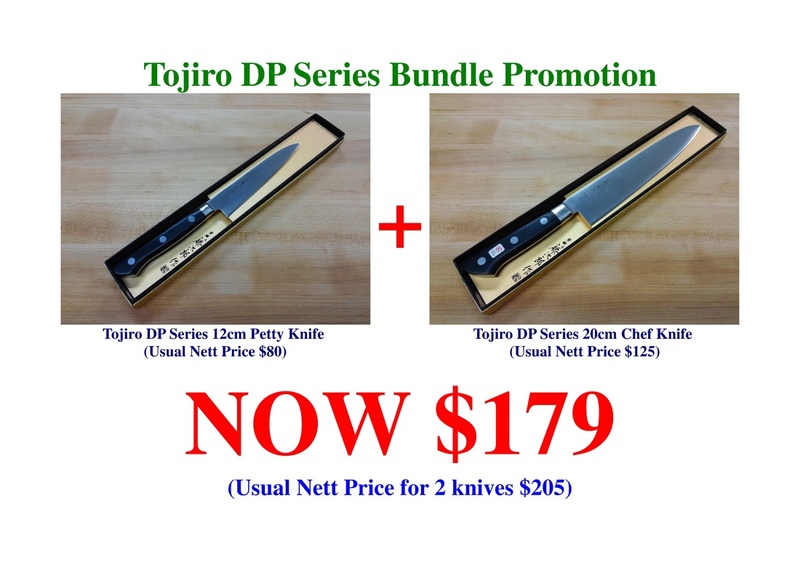 Tojiro DP Series use high quality VG-10 steel for the blade core and clad with stainless steel. 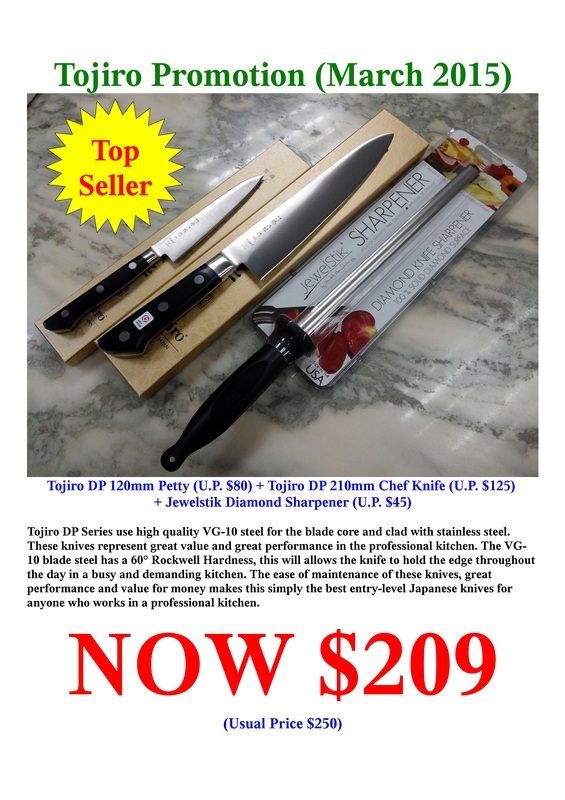 These knives represent great value and great performance in the professional kitchen. The VG-10 blade steel has a 60° Rockwell Hardness, this allows the knife to hold the edge throughout the day in a busy and demanding kitchen. 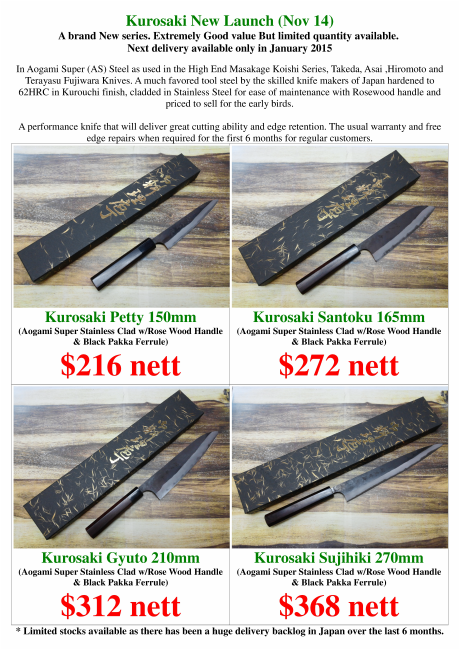 The ease of maintenance of these knives, great performance and value for money makes this simply the best entry-level Japanese knives for anyone who works in a professional kitchen. 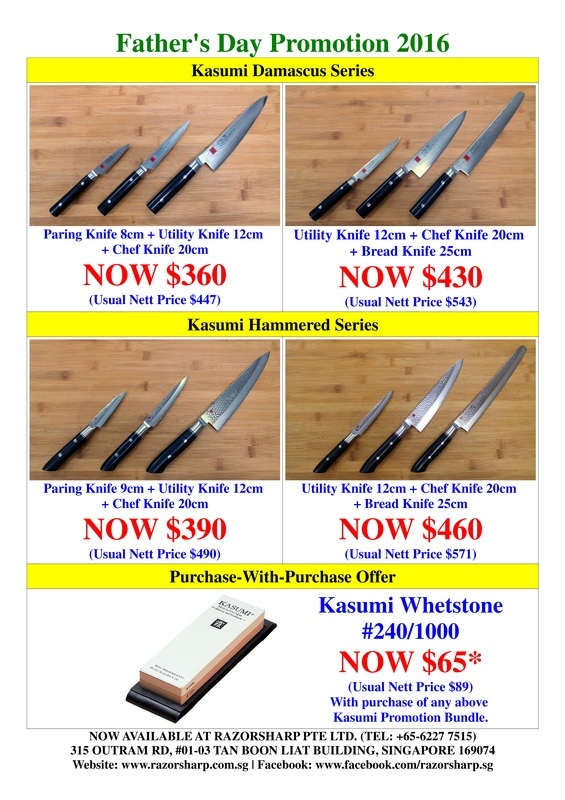 sharpening promotion till the 31st March 2015. 3. Stones to be used. 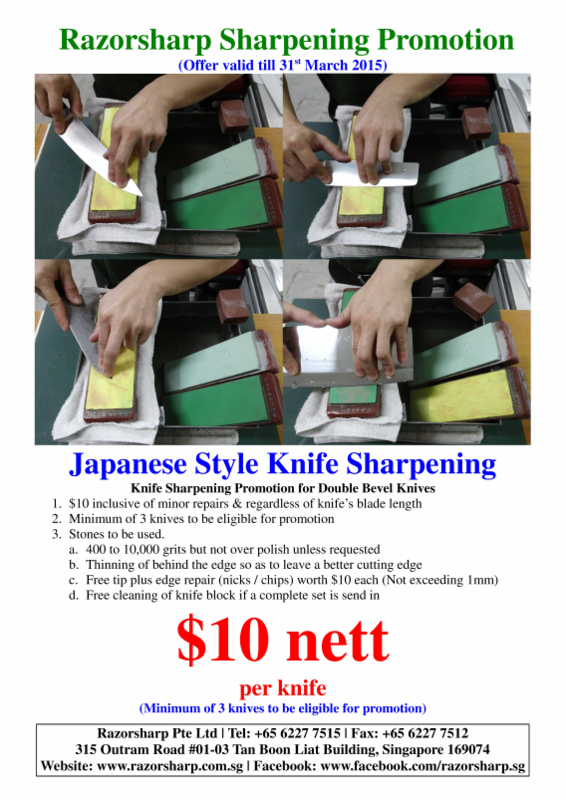 d. Free cleaning of knife block if a complete set is send in. SRS-15 ( PM steel ( Powdered Metal steel)) at the Core with SUS -405 Stainless steel as a clad. : A tool steel used for metal cutting devices. High Carbon content with Vanadium and Tungsten added for longer edge retention. 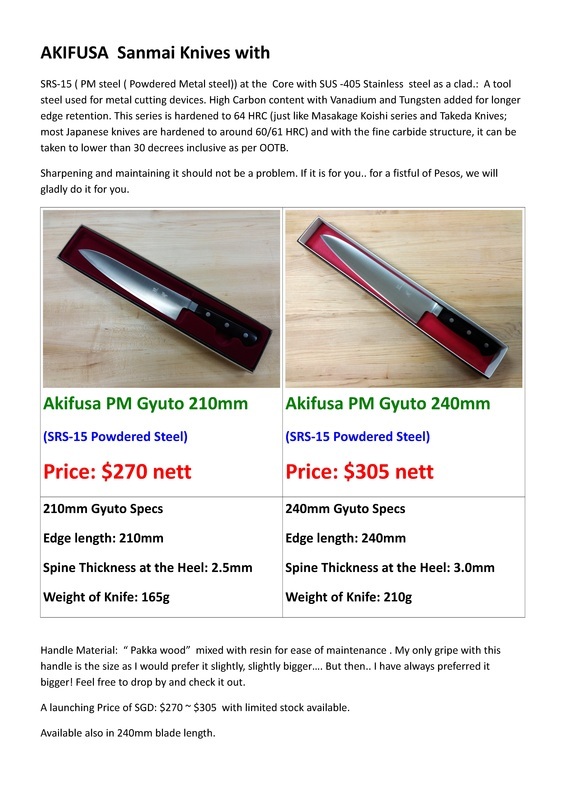 This series is hardened to 64 HRC (just like Masakage Koishi series and Takeda Knives; most Japanese knives are hardened to around 60/61 HRC) and with the fine carbide structure, it can be taken to lower than 30 decrees inclusive as per OOTB. 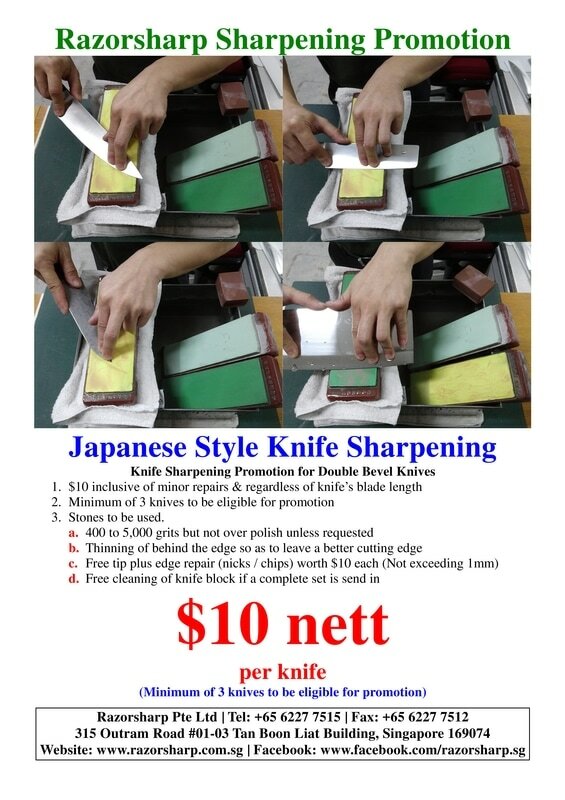 Sharpening and maintaining it should not be a problem. If it is for you.. for a fistful of Pesos, we will gladly do it for you. Handle Material: “ Pakka wood” mixed with resin for ease of maintenance . My only gripe with this handle is the size as I would prefer it slightly, slightly bigger…. But then.. I have always preferred it bigger! Feel free to drop by and check it out. 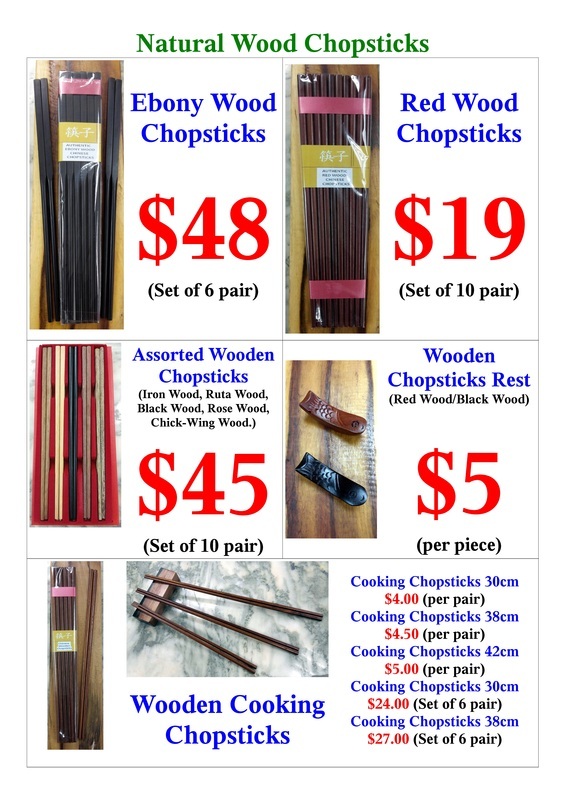 A launching Price of SGD: $270 ~ $305 with limited stock available. 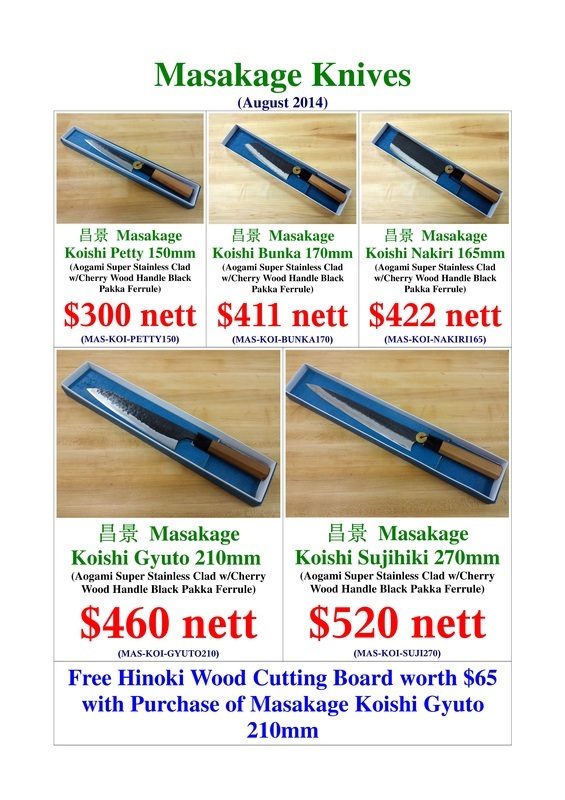 NOW Available also in 240mm blade length. 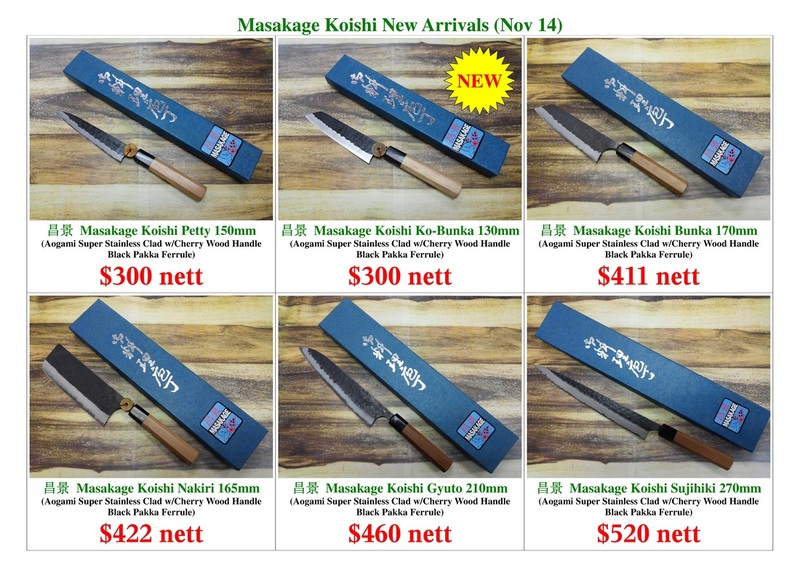 Latest arrival, the Ko-Bunka 130mm. 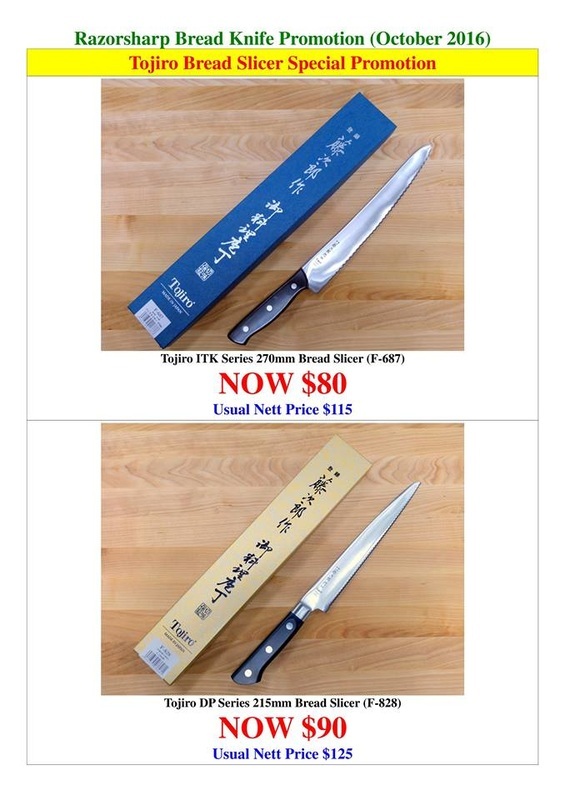 In Aogami Super (AS) Steel as used in the High End Masakage Koishi Series, Takeda, Asai ,Hiromoto and Terayasu Fujiwara Knives. 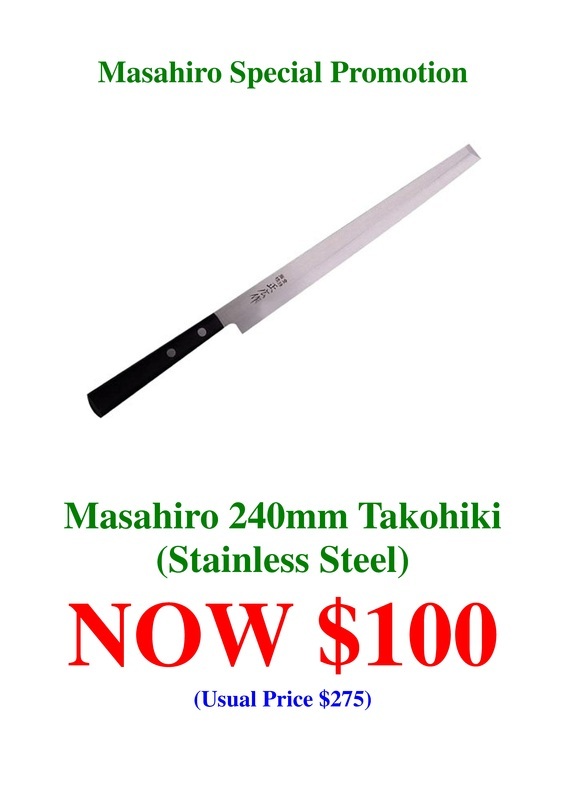 A much favored tool steel by the skilled knife makers of Japan hardened to 62HRC in Kurouchi finish, cladded in Stainless Steel for ease of maintenance with Rosewood handle and priced to sell for the early birds. 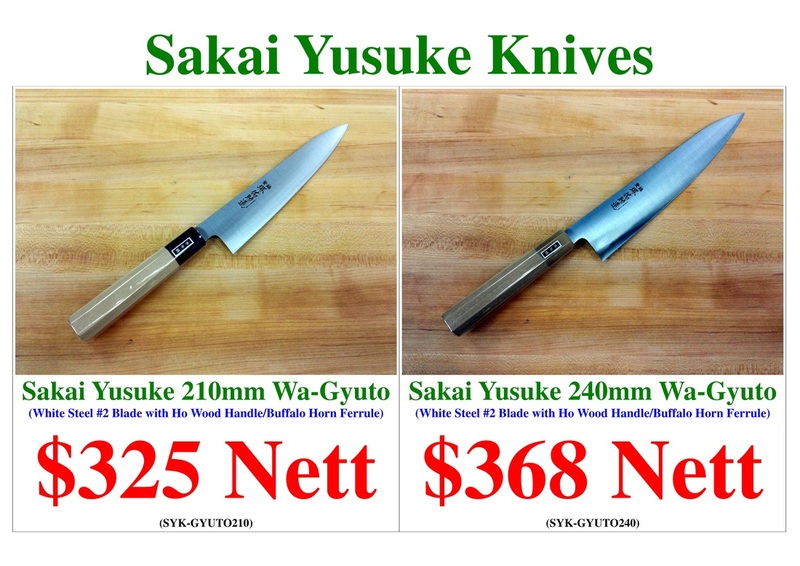 A performance knife that will deliver great cutting ability and edge retention. 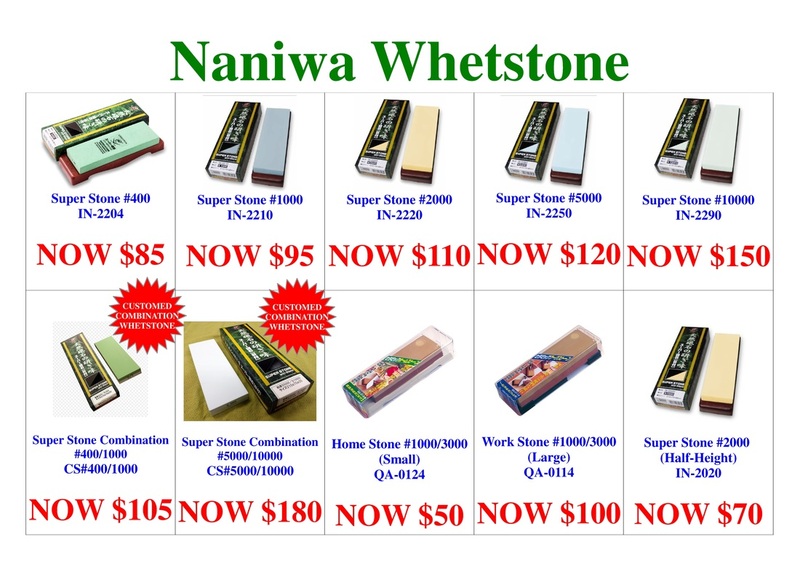 The usual warranty and free edge repairs when required for the first 6 months for regular customers. 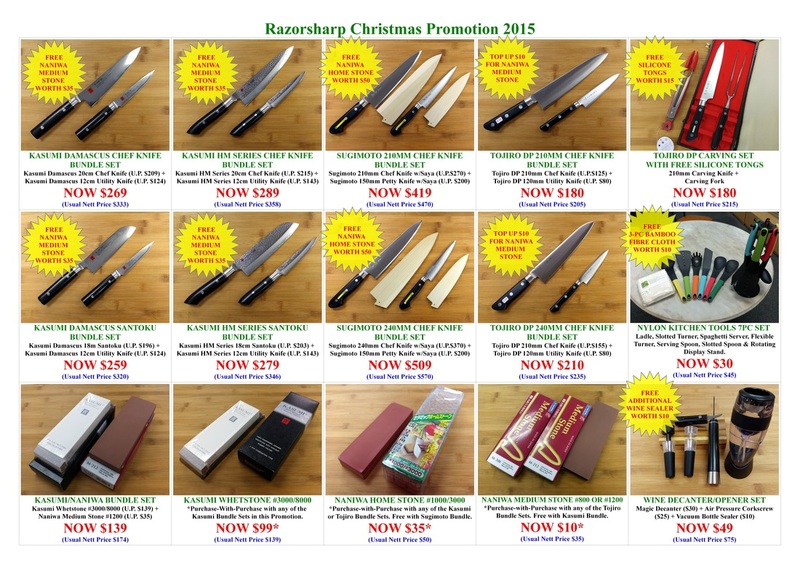 * Limited stocks available as there has been a huge delivery backlog in Japan over the last 6 months.